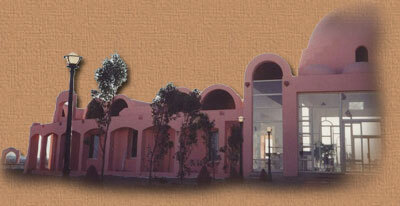 Directly at the beach (by the sea reef limited bath possibilities) 115 kilometers south of Marsa Alam. The small place Hamata with the putting on bar of the dipping boats is only three kilometers distant. After Berenice of about 20 kilometers. Transfer duration of the airport Marsa Alam about two hours. Lets go to see a wonderful Resort in Hamata on the Red sea.